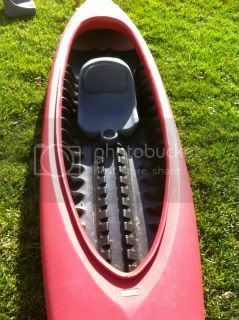 Tendem Kayak For Sale - 1,2 or 3 people! 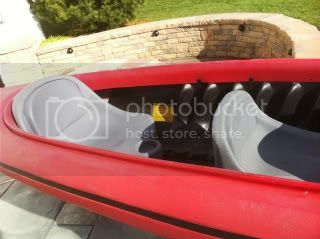 - AWESOME NEW AND USED KAYAKS AND BICYCLES! 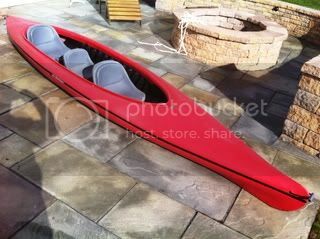 ADOPTED Here is a tandem/triple kayak by Walden. 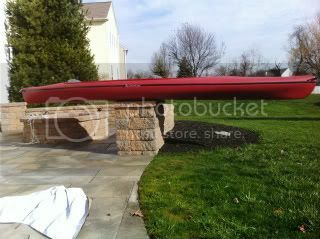 The cool thing is the adjustability...you can quickly change the seating structure from a single to a double or even a TRIPLE because this boat has the extra removable spare seat. The condition of this particular boat is quite nice with no damage or oil canning. Ready for the water! 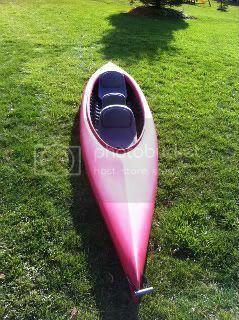 Walden says: The Spirit is Walden Kayaks version of a portable tandem canoe that helps you get out and explore your world. The Spirit is very stable boat featuring a stiff hull that offers great tracking and glide, plus an extra dose of stability for fishing and active families. There is lots of room for movement. Walden Kayaks classic designs optimize paddling performance with attention to detail, tracking and boat responsiveness. The unsinkable foam sandwich construction creates a stiff hull for smooth glide and easy paddling, and provides sound and cold water insulation as well as extra flotation. Each Walden Kayak is hand made in the U.S.A., and our earth-friendly, recycled and recyclable materials go easy on Mother Nature.